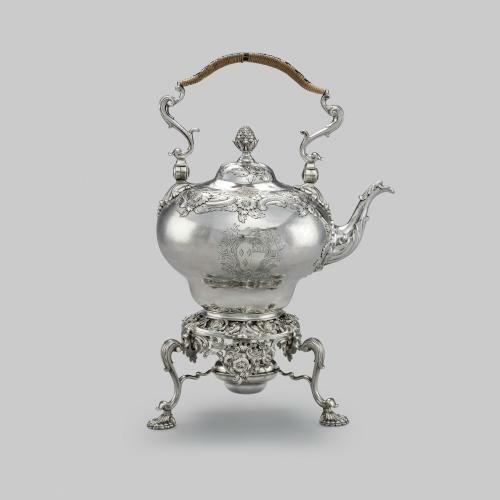 Sugar bowls made during the 1720s and 1730s often feature covers with a spool-shaped finial, which could be upturned on the table for use as a saucer or spoon tray. 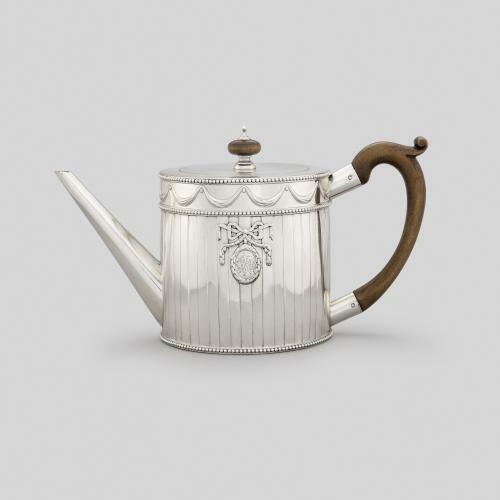 Like many silver tea ware models of this date, the form is based on imported Chinese porcelain. While most covers from this date are generally plain, this example has been decorated with a crest.